What is a Patient Management System? You are likely quite familiar with your clinic's practice management system. Whether you enjoy the software, or dread trying to make it work for you, nearly every highly functioning practice has one. But, do you have a PATIENT management system? 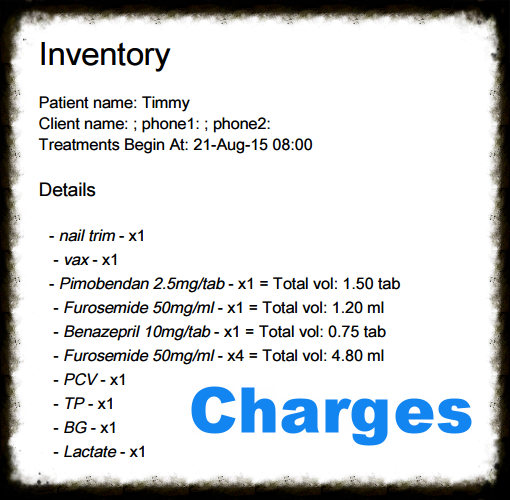 Do you have a way to thoroughly track your patient, charges, treatments without using paper? Well, if you are not using Smart Flow, then the answer is no. Let's highlight what exactly a patient management system is, and does. To begin with, a patient management system focuses on the patient in the hospital. Whether they are hospitalized due to a disease, or a surgical procedure, a patient management system makes sure the patient is the priority. 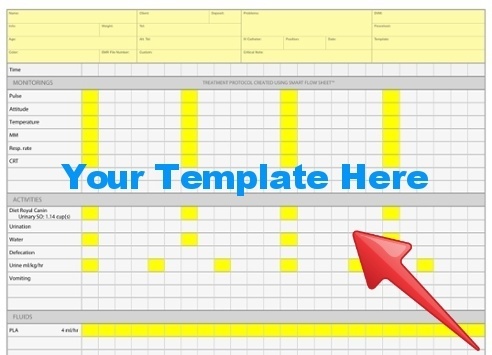 The Smart Flow templates are an incredibly easy way to save time and provide consistent patient care. 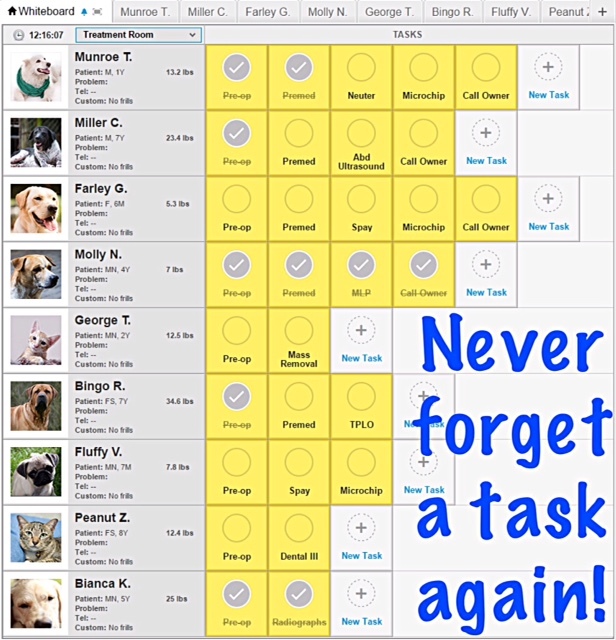 You can take all of your most common cases (vomiting/diarrhea, parvo, or surgical cases) and create a template that will store the medications, monitoring parameters, fluids, etc. Then, with the click of a button, you can pull up the template and begin treatments within a matter of seconds. Just think, no more highlighting! While the templates will store your treatment game plan, the Smart Flow Whiteboard will remind the staff when those treatments are due. Using the timeline whiteboard, the staff receives gentle reminders each hour that a treatment is due. If time is not of concern, another option is to layout the treatments as tasks. The task board is meant to serve as an outpatient whiteboard. With Smart Flow, the receptionist can stay up-to-date on the progress of any patient without leaving their seat by using tech notes. This feature is made to enhance your team communication. See just how that works here. Whenever a treatment is marked complete, the charge for it will go straight into the Smart Flow billing form. You will no longer have to search for charges on messy paper sheets, add up the volume of medications given, or forget to add a charge to the invoice. As you can see, Smart Flow has your patients covered from the time they are admitted, until they are discharged. This software is one of a kind, and the ultimate way to manage your patients!